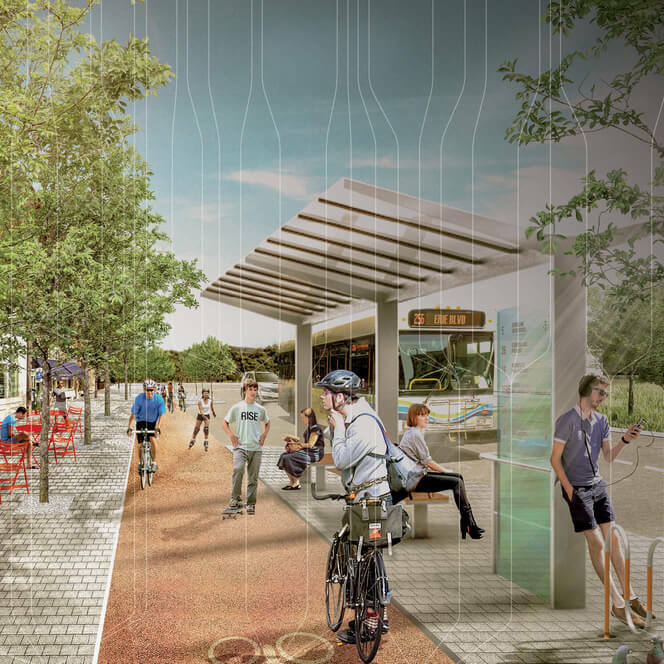 Reimagining the future of the historic canal corridor. Through the community survey, we got to hear your thoughts and big ideas! It all started with an international ideas competition! In the fall of 2015 we launched an International Ideas Competition to hear what folks had to say about the future of Erie Boulevard between DeWitt and Syracuse. We received lots of ideas, nearly 70 proposals from 16 countries around the globe. Since then, we have been working with local community and world wide experts to reimagine the Erie Canal Corridor! The Elevating Erie Blog keeps you informed on the latest developments. Sign up for our e-newsletter. We will share the latest news, as well as thoughts and ideas that we receive from the community. We are on Facebook, Twitter, and Instagram. Tag us @ElevatingErie or use #CloseTheGap to share your ideas! In 1825 the Erie Canal was the second longest canal in the world, spanning the entire length of New York State and connecting the Atlantic Ocean to the Great Lakes! While many sections of the original canal have been paved over for more than 100 years, the corridor has remained significant to the region by transporting people and goods. The corridor now has the potential to become part of the longest continuous bicycle and pedestrian trail in North America!